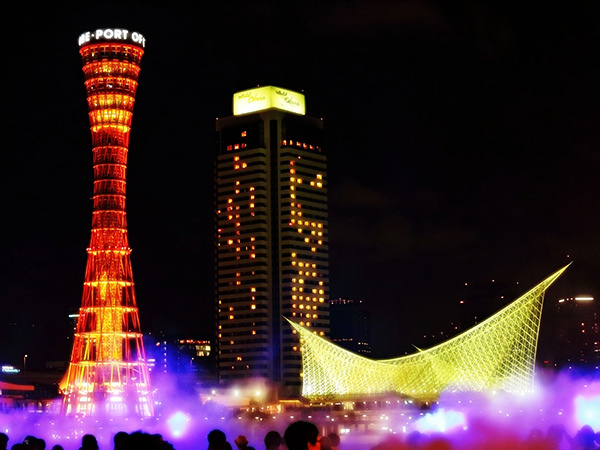 Kobe Port Tower is one of the landmarks of the Port of Kobe (refer to #038). It was built in 1963 originally at the edge of the wharf but is currently located more inland because of the land reclamation of this area. 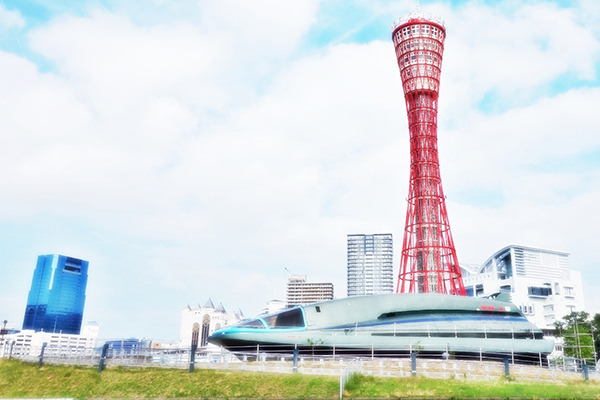 Restaurants, shops, and the observation deck are inside it and the tower itself has the height of 108 meters. Its unique figure has often been likened to a beautiful lady. Also, it is the first case in this country for a building to be illuminated during the night.